Will the HUD Form be Disappearing from our Closings? Our readers who have attended residential real estate closings are familiar with the HUD Settlement Statement (the “HUD”). This document is meant to clearly identify all of the financial figures in a residential real estate transaction. The HUD is a disclosure document required when a mortgage is obtained from an institutional lender (such as Chase, CitiMortgage or Wells Fargo). 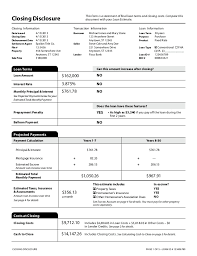 The borrower is provided with this form either immediately before or during the closing in order to identify the real estate tax adjustments with the seller, costs of making the loan (such as origination fee, application fee, credit report fee and appraisal fee), real estate tax and insurance escrows established by the lender (including the breakdown of the number of months collected at the closing to be held in reserve), itemization of title charges (such as the insurance premium, search fees and recording fees) and the like. The HUD follows other well-known disclosure documents such as the Good Faith Estimate and Truth-in-Lending Disclosure delivered to the borrower before the closing. However, the HUD as we know it may soon be disappearing from our closings, with certain exceptions discussed below. Beginning with applications for mortgage loans made after August 1, 2015, the Consumer Financial Protection Bureau will be requiring a new series of disclosure documents. Lenders and their attorneys may encourage loan applications to be made before August 1, so that they only need to comply with the disclosure regulations with which they are familiar. Rest assured, the basic content of the new disclosures and the intent behind them will remain the same. The disclosures are meant to integrate the first disclosure (Loan Estimate) with the last disclosure (Closing Estimate). The Loan Estimate form will replace the Good Faith Estimate and Truth-in-Lending Statement. It needs to be delivered three business days after the loan application is made. Some of the data on the Loan Estimate will be precisely the same on the Closing Estimate, so that the borrower will be familiar with the financial terms of the transaction. The Loan Estimate will be likely to please borrowers, in that it will disclose information that our clients have been seeking from the early stages of the transaction: is there a rate lock and for how long, what is the interest rate, what are the monthly payments expected, is there a prepayment penalty and most significantly, how much cash will be needed to close. This allows borrowers to take the steps needed to liquidate assets as needed to raise the funds needed to close. In the past, some people have been unduly surprised by the amount of the cash needed to close and have been unprepared. Our firm selects title companies for its transactions that quickly produce and deliver the accurate information required for this initial disclosure document. Also, the new regulations are intended to insure that borrowers have sufficient information about the accurate costs of their loan before they arrive at the closing and it is too late, with the others in attendance encouraging the completion of the closing, even if the loan terms are unsatisfactory to the buyer. Instead of the HUD, the Closing Disclosure form will be required. The Closing Disclosure will need to be delivered three days before the closing. Our clients will note that the information on the Closing Disclosure will be quite similar to the HUD, but the Closing Disclosure will have the benefit of containing information that is more readily integrated with the Loan Estimate and will be more familiar to the borrower. Loan officers and lenders will have strict deadlines to meet as to when the Loan Estimate and Closing Disclosure need to be delivered and will need to be prepared to show proof of delivery. Due to the sensitive nature of the timeframes involved, it will be crucial for professional partners such as real estate attorneys to be proactive in gathering and providing information in a prompt fashion to the lender for its disclosure documents. That way, the closing dates anticipated by the parties can be met. We have been informed that the HUD will still be used for closings if the loan application was made prior to August 1, 2015. Also, these new disclosure rules do not pertain to home equity loans. Our firm will review the new disclosure forms in the coming months in order to be prepared to deliver necessary information to its professional partners and to explain to clients the portions of the disclosure forms that pertain to them. We will monitor the implementation of the new loan disclosure documents and keep our readers abreast of any updates. Our attorneys would be pleased to answer any questions that parties to real estate transactions may have concerning these disclosure forms.